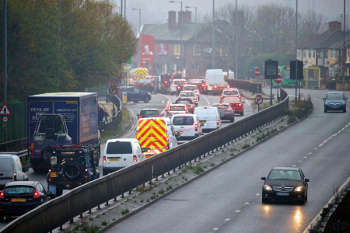 Amey has secured the Highways England Area 10 highways maintenance and response contract in a 15-year deal worth £325m. This key road network serves the North West of England, connecting the cities of Manchester and Liverpool, and surrounding areas and covering Cheshire, Merseyside, Greater Manchester and South Lancashire. The previous Area 10 contractor was a Balfour Beatty Mott MacDonald joint venture. From April 2019, Amey will be providing all routine and cyclic maintenance on the strategic road network (SRN) in the area as well as incident response, defect rectification and severe weather treatment, including traffic management during incidents. In addition Amey will be in charge of the operation of the five main depots in the region, as well as seven winter-only depots. Under the new contract there will be a focus on greater self-delivery by Amey - particularly in winter maintenance - which will be recruiting 45 new employees from the North West to join the present team across a variety of roles. Amey already maintains Highways England Area's 7 nertwork, totalling 787km, and is responsible for designing maintenance and improvement schemes for nearly 658 kilometres of strategic road network in Areas 13 and 14.